This load contains 100 DeLonghi portable air conditioners.They are a mix of box damage and customer returns. 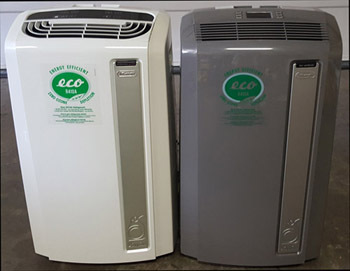 The majority of the units are in good working order.Most of them range from 7,000 to 14,000 BTUs. Retail prices can range from $350 to $800. The portable DeLonghi units are much nicer and more expensive than the cheap 5000 BTU window units that sell for $100-$150. Many models are listed on eBay for $300-$500. They are true portable units with rollers that can be used anywhere in the house or garage there is a window or door for exhaust. These are expensive to buy the stores and customers appreciate discounts. Hot weather is here. There is no manifest. 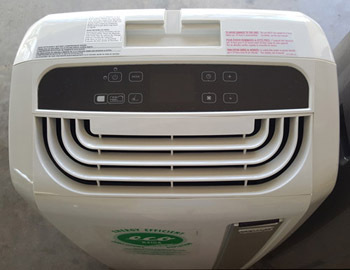 All units are DeLonghi portable air conditioners. We also get D Grade loads that cost $2500 for 100 units. The fail rate on these loads can be very high with 75% not working on average. Those loads should only be purchased by technicians or refurbishing shops.